Affect Or Effect? 'Grammar Girl' Is Here To Help Further versus farther, compliment versus complement, affect versus effect — the ever-complex, often-irregular English language is full of traps and pitfalls. But don't despair! Grammar Girl's 101 Misused Words You'll Never Confuse Again is a gentle guide to proper usage. Further versus farther, compliment versus complement, affect versus effect — the ever-complex, often-irregular English language is full of traps and pitfalls. But don't despair! Grammar Girl Mignon Fogarty has come to the rescue of America's befuddled masses. 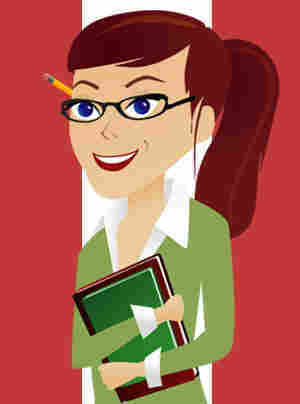 Fogarty is the grammar guru behind the weekly Grammar Girl podcasts, which offer tips and lessons on proper English usage. Her latest book, 101 Misused Words You'll Never Confuse Again, is a gentle guide for those of us who can't seem to remember the difference between disinterested and uninterested. Tell us: Which word pairs confuse you the most? Do you have mnemonics that help you remember which word to use in which context? If English is your second language, which word pairs were the trickiest to commit to memory? Ah, English. We have so many words that sound alike but mean different things or take on meanings that don't make sense that it's hard to keep it all straight. Further (or is it farther? you'll find out! ), once some people start using a word incorrectly, that use can spread to a point where there's an all-out battle between the people who support what the word is supposed to mean and the masses who think it should mean something else. Sadly, the masses are often unaware that they are even the target of a stickler war. Yet, target they are, and sticklers who will judge you for using the wrong word are lurking everywhere — in your school, your workplace, your family, and your favorite Internet hangout. A dirty little secret you can invoke to keep you sane is that there are so many confusing words that everyone is part of the "confused masses" for at least a few of them. Many times I've corrected a stickler who actually had something wrong, and I've heard a literate, well-educated person say, "What do you know? I never knew that!" in response to one of my tips. I've also made mistakes myself — for example, I grew up saying snuck instead of sneaked and didn't know it was controversial until someone corrected me and I looked it up myself. So don't be ashamed if you get confused. The only reason to be ashamed is if you are too lazy to find out what is right once you suspect you might be wrong. In this book, I've highlighted 101 troublesome words that people often confuse, and I've tried to give you fun and easy ways to remember what they mean. Since they're usually problematic word pairs, you're actually getting tips for almost 200 words. Quite a bonus for a book titled 101 Words ... eh? Sadly, a lot of people were taught the wrong rule for using the articles a and an. It's the sound of the next word that determines the word choice, not the first letter. If the next word starts with a vowel sound, use an. If the next word starts with a consonant sound, use a. That means a word starting with u or o, for example, can require a or an depending on the pronunciation: a unicorn, an uncle, a onetime deal, an owner. Quick and Dirty Tip: To remember that words starting with certain letters can go either way, set the image in your mind of a man playing a ukulele under an umbrella — an image that uses two u-words that require different articles. Every time I use the word ado in a Scrabble game with my husband, he insists it's not a word. He is wrong, but he's not alone. People often incorrectly write without further adieu instead of the proper phrase without further ado. Adieu is a French word meaning farewell. It's just another way to say good-bye — like adios or ciao. To mean good-bye is how Julie Andrews used adieu in the song "So Long, Farewell" in The Sound of Music. An ado, on the other hand, is a hubbub, bustle, flurry, or fuss. You may remember the word ado from the title of Shakespeare's comedy Much Ado About Nothing, in which a big fuss (an ado) is made about an affair that didn't happen. In some instances, it is understandable that people could mistakenly believe the meaning of adieu makes sense in without further adieu. For example, if dinner guests want to leave without further excessive farewells, it may seem logical to say something such as "Without further adieu, we're off to the movies." Logical, but incorrect. If that is your sentiment, you need to use the plural: adieus. 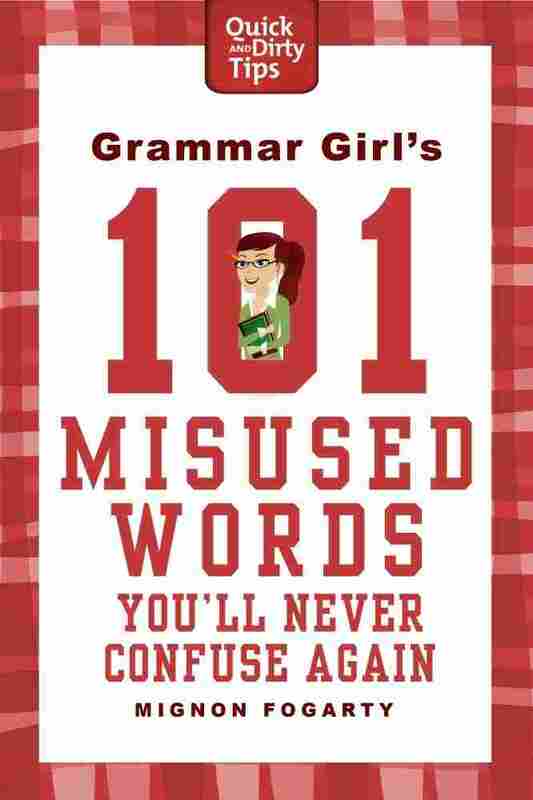 Excerpted from Grammar Girl's 101 Misused Words You'll Never Confuse Again by Mignon Fogarty. Copyright 2011 by Mignon Fogarty. Reprinted by permission of St. Martin's Griffin.